I realized that I rarely show what I – more or less – spend all of my time doing; graphic design. 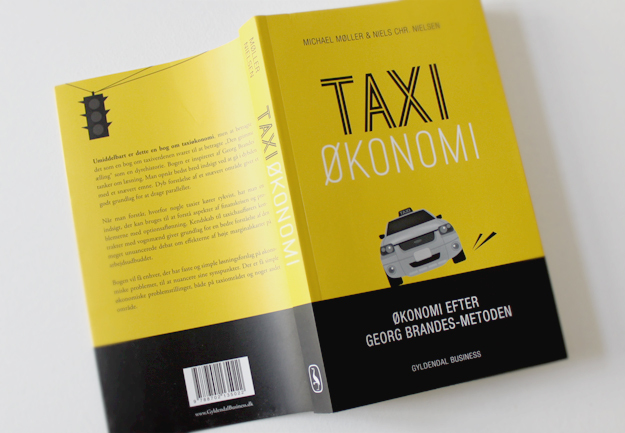 Since I have a lot of different projects, my portfolio is very wide, but one of my latest projects was this bookdesign job, including the cover design, illustrations and overall text setup, for a danish business book explaining the overall economy through the taxi-industry. 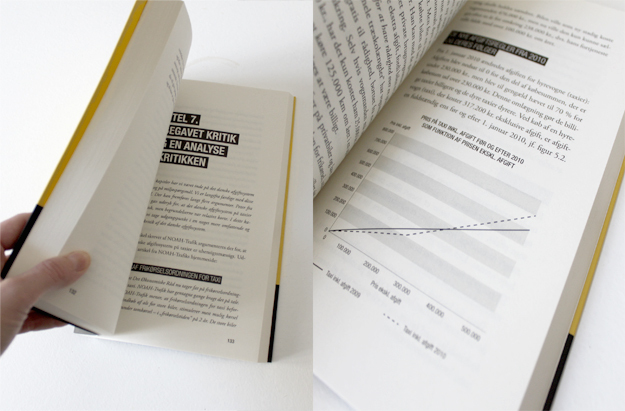 I like the bookdesign. I think its a nice touch to use the "yellow-cab"-yellow on the front page. 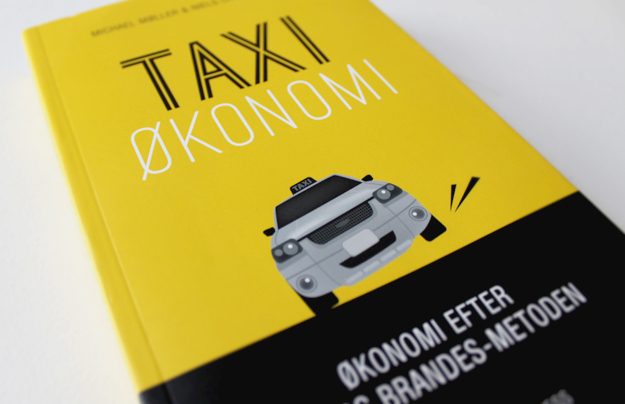 Even though the typical danish taxi isn't yellow.